“How much more organic and fun for a start of a band can you get then just having it be a private joke between two people falling in love?” offers vocalist, guitarist and co-founder of Perma, Max Bemis. 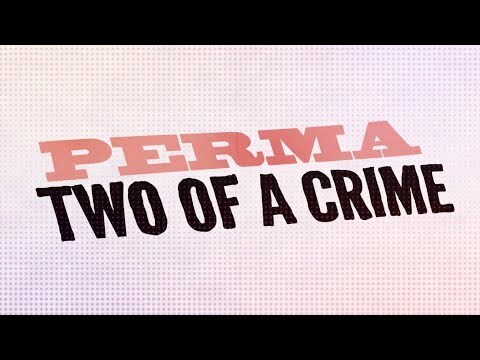 Perma is the joint effort of husband and wife duo Max Bemis (Say Anything) and Sherri DuPupree-Bemis (Eisley). Their debut full-length album Two of a Crime will be released on October 29th on Rory Records, Bemis’ imprint label within Equal Vision Records. The duo were on the road together this past summer as Say Anything and Eisley toured the U.S on the incredibly successful Say Anything Rarities and More tour. The tour featured an exclusively Equal Vision Records line-up of Say Anything, Eisley, HRVRD, I the Mighty and Northern Faces. This winter Perma will tour for the first time, along with Matt Pryor, Merriment, and with Max Bemis and Sherri DuPree-Bemis playing solo sets as well.